Yesterday's feature on Attorney at Work was Does Email Tracking Violate the Rules of Professional Conduct? It was written by Mark C. Palmer, who is Professionalism Counsel for the Illinois Supreme Court Commission on Professionalism. He cites a recent Professional Conduct Advisory Opinion from the Illinois State Bar Association, (Opinion No. 18-01, issued January 2018) along with advisory opinions from Alaska Bar Association, New York State Bar Association and Pennsylvania Bar Association to conclude that using e-mail tracking software is unethical. I do understand. Web bugs are creepy and invasive. But this leads to another question. Is using U.S. Postal Service certified mail an ethics violation? I doubt you could find any lawyer who says that it is. Certified mail is used daily in law offices for service of process, to confirm delivery and when mailing valuable items. It is simple and straight-forward with none of the hidden aspects of web bugs. No law office wants to run out of certified mail supplies because almost every law office uses certified mail regularly. But with drafting committees focused on creepy web bugs, I fear they have used language that might be interpreted as also prohibiting what I consider a legitimate practice of using "certified emails." One can easily think of many legitimate uses for such a service, such as accepting a settlement offer with an expiration date by email. We have even heard of cases where a judge has authorized delivery of process or notices by electronic means. One would certainly want to have the digital equivalent of a USPS certified mail "green card" in that situation. And isn't it pretty obvious that we will see greater use of electronic service of process as more laws are changed to allow this? The Pennsylvania Bar Association's Formal Opinion 2017 – 300 discusses email receipts. It states: "This Opinion relates to the use of web bugs and similar devices, but does not prohibit the use of “Read Receipts” or “Delivery Receipts” or similar tools used by Microsoft Outlook and other email programs. Because recipients are aware of, and may configure their software to permit such receipts, to make their use optional, or to preclude their use, their use by lawyers does not violate the Rules of Professional Conduct...."
"This Committee concludes that the Pennsylvania Rules of Professional Conduct prohibit lawyers from using “web bugs” or any other method to track the receipt and distribution of email sent to opposing counsel. While the use of visible tracking devices such as those used in commercial email do not violate the Rules of Professional Conduct, the use of a web bug, which opposing counsel cannot determine is present, violates rules 4.4 and 8.4." Since an e-mail recipient can decline a "Read Receipt Request," it is ineffective to prove someone read something if they do not cooperate --and sometimes those for whom you most want to have proof of delivery are also those who would never click on a "Read Receipt" agreement. The other problem is referring to visible vs invisible tracking. Computers maintain a lot of information that is available for those who know how to find it. Is that visible or not? For example, every email in your inbox has an Internet header that contains much information if you know how to view it. Is that visible or invisible? It is important to note that the title of the Pennsylvania opinion is Ethical Obligations of Lawyers Using Software To Track Email Sent To Opposing Counsel. So in that context, I am quite comfortable with the conclusion that anything that reports back to you anything more than delivery and opening from opposing counsel's email should be known to opposing counsel. Certified email providers can provide notices within the email that their product is in use. Illinois State Bar Association Opinion 18-01 is not limited to opposing counsel, however— and that is problematic. This opinion states: "A lawyer may not use tracking software in emails or other electronic communications with other lawyers or clients in the course of representing a client without first obtaining the informed consent of each recipient to the use of such software." I understand that they were focused on those nasty web bugs. But certified email is still a form of "tracking software." In these days of lost emails, emails that are mysteriously never delivered and spam filters grabbing emails, one can make a case that competent representation today involves making certain that a client has actually received and read an important digital communication. A process that insures that is quite different from a web bug telling you that a young client forwarded your email to his mother for her interpretation. Lawyer regulators must appreciate that not all legal representation involves corporations with general counsel. Sometimes lawyers represent individuals who made bad decisions which led to the representation and who will continue to make poor decisions during the representation. It is a lawyer's obligation to assist them in making good decisions— if possible. So making certain a client opened an email advising them of the change in the time of next week's hearing or the location of their deposition sounds more like good lawyering than inappropriate spying to me. A delivery receipt alone could still mean it was trapped by a spam filter and never seen by the intended recipient. But that's not the only practical problem. The ABA released Ethics Opinion 477 on encryption of attorney-client email on May 11, 2017. This opinion makes it clear that some attorney-client communications cannot be sent via plain unencrypted email. The opinion notes that a hard and fast rule cannot be crafted to apply to all situations, and therefore a fact-based analysis must be applied. That could be a bit time-consuming for the law firm and mistakes may be made. Plus some individual clients may not be comfortable with the mechanics of decryption processes. I have long believed that smaller law firms will be well-served to use client portals to share documents and other communications. See Email Attachments vs. Client Portals. It is likely easier to get a client to log into a portal these days. They may have done something similar for items ranging from HIPAA-protected medical records to their Amazon account. Most of the cloud-based practice management systems available for lawyers include built-in client portals, making their use much quicker and easier for the law firm than other methods. It is a great client service to have all of the documents related to a matter organized and available for online client access 24 hours a day. But, of course, online portals log everything that happens from the number of times a client logged in to the number of times they opened a particular document. These logs could also provide some protection to the attorney if a client denies ever seeing a document and the log shows the client opened it on ten different occasions. Lawyers often document their files for their protection against false claims or bad memories. Most would think that is a good business practice. Labeling these logs as unethical seems wrong to me. Illinois State Bar Association Opinion 18-01 notes that recording of phone calls without permission is illegal in Illinois and it is therefore unethical for lawyers to record client phone calls without permission. It cites that precedent among several supporting the proportion that web bug e-mail tracking is likewise unethical. Would it extrapolate this opinion to say that examining a client portal access log was unethical? While that may seem unlikely to some observers, Illinois lawyers using client portals may consider documenting the client's consent to this aspect of representation. That may involve adding language to their attorney-client agreement referencing client portals and how their logs operate to obtain informed client consent or other methods. But today most people understand that logging into a password-protected website leaves a record of your visit. Hopefully if ethics authorities examine the web bug issue in the future, they will make note of the possibility of laws authorizing digital service of process, an ethical lawyer's need to make certain important client communications are not lost in a spam filter and that it might be a good thing, at least in some cases, if a lawyer was aware that a client was not opening the attorney's emails. An old saying is bad facts make bad law. Maybe bad web bugs do, too. But "bad" is a value judgment and, to be clear, if you receive any electronic newsletter or regular emails from any electronic mailing list, the odds are the sender not only knows whether you open each e-mail, but the average time of day you open their e-mails— if not more. One year ago I was the guest on Digital Detectives podcast on the topic of Cyber Security for Small Firms and Solo Practice. This is an important subject and I decided this podcast deserved a repeat promotion. I had occasion to listen to the podcast recently and my five cybersecurity tips are still important for lawyers, especially in smaller firms. One thing that has changed since we recorded the podcast is that the ability to “pay the ransom” (if you are so inclined) is now often nonexistent. Once the infection is out in the wild, the authorities can’t do much about preventing the spread, but they’ve been successful in quickly blocking the methods used to pay the ransom in bitcoin. I was interviewed by my good friends, Sharon Nelson and John Simek and I can guarantee that you will never hear a podcast about cybersecurity with more laughter. The information about today’s cyber threats seems much less scary when it is interspersed with laughter. Share the link to the podcast with someone you know that needs to listen to it. Manage Cyber-Attacks: Is It Really Not If You Will Be Attacked, But When? Manage Cyber-Attacks: Is It Really Not If You Will Be Attacked, But When? is my new column in the Oklahoma Bar Journal. This is a sobering subject, but it is critical for all law firms to appreciate this idea in their risk management practices. It is a bit hard to accept that it may be impossible to have such bulletproof cyber security that you can be absolutely confident you will never be breached. After all, I'm fairly certain our country's intelligence services had some high level experts working on their security and they have suffered spectacular breaches. In hindsight, this article's title perhaps should have been "Manage Cyber-Attacks: Is It Really Not If You Will Be Compromised, But When?" We have fallible, and sometimes corruptible, human beings working with our technology systems. Computer code is vastly more complex. There are more openings. Think of the difference between fighting crime in a small town with one stop light and a large urban metropolis with high rise buildings, subway systems, subterranean sewers and other complex infrastructure. Coders are going to write new code. Some of it will have unintended consequences and open up new security risks. And that new employee may not appreciate all of the dangers lurking in her inbox. So does that mean give up? Game over? Of course not, we cannot give up on security measures. We need to have good cyber-security infrastructure, practices and training. But there will be dangers appearing online that haven't been invented yet. Today, a large part of good security practices includes creating Incident Response Plans and other recovery techniques. If you do not have an IRP, it is time to create one. This is unpleasant to consider and easy to procrastinate for the same reason so many people put off creating an estate plan. But this is just as important. In the column, I take the reader through a couple of scenarios to give some examples of planning. Firms can get help with IRP's from professionals, but each plan should be unique because the assets you have to respond are unique. I tried not to make this too threatening, but I have been on the phone with lawyers who had no plan and now have a network frozen by some malware. Planning is better! I wouldn’t usually post a local news item on my blog, but this video is worth watching. An individual showed up to close on the house he was buying only to learn that he had wired $54,000 out to an email scammer posing as his real estate agent. Did the scammer somehow learn of the real estate contract and use the name of the agency? Some say the real estate agency has responsibility for not warning the person to look out for scammers. Real estate agencies are now, as a best practice, warning new customers that they will never be asked to wire money by the agency. The final observations on the video from a cybersecurity expert may not correctly state the law of liability, but they are food for thought for real estate agencies and law firms alike. It is important to protect confidential client information and email is increasingly problematic. I think law firms who will never ask for electronic fund transfer should mention to new clients that they will not and law firms using electronic billing should communicate to new clients what the firm’s ebill will look like and to be alert for fake emails or fake ebills. The ABA has released Ethics Opinion 477 (May 11, 2017) on encryption of attorney-client email. "A lawyer generally may transmit information relating to the representation of a client over the Internet without violating the Model Rules of Professional Conduct where the lawyer has undertaken reasonable efforts to prevent inadvertent or unauthorized access. However, a lawyer may be required to take special security precautions to protect against the inadvertent or unauthorized disclosure of client information when required by an agreement with the client or by law, or when the nature of the information requires a higher degree of security." "A fact-based analysis means that particularly strong protective measures, like encryption, are warranted in some circumstances. Model Rule 1.4 may require a lawyer to discuss security safeguards with clients. Under certain circumstances, the lawyer may need to obtain informed consent from the client regarding whether to the use enhanced security measures ..."
"In contrast, for matters of normal or low sensitivity, standard security methods with low to reasonable costs to implement, may be sufficient to meet the reasonable-efforts standard to protect client information from inadvertent and unauthorized disclosure." My first reading is that this is along the line of my suggestion that a text to a client asking "Court starts in 5 minutes. Where are you?" is not a problem even if you are using unencrypted SMS texting because of the low sensitivity of the information, the relative security of texting and urgency overrule the extremely slight risk. See my article Email Attachments vs. Client Portals. Among the things that lawyers should understand is how confidential client information is transmitted and stored. The opinion also suggests that every device and access point "should be evaluated for security compliance." The law firm must have appropriate policies and procedures. They must train staff and supervise them on reasonably secure methods of communications. Only then can the lawyer make the decision that a particular electronic client communication need not be encrypted. "In the technological landscape of Opinion 99-413, and due to the reasonable expectations of privacy available to email communications at the time, unencrypted email posed no greater risk of interception or disclosure than other non-electronic forms of communication. This basic premise remains true today for routine communication with clients, presuming the lawyer has implemented basic and reasonably available methods of common electronic security measures.14 Thus, the use of unencrypted routine email generally remains an acceptable method of lawyer-client communication." To say that there is no greater risk of email interception and/or disclosure today than there was in 1999 is just nonfactual. But overall, this opinion sends a clear signal that law firms have to pay attention to security of email and other client communication. Most law firms have already determined that is the correct policy. I still suggest lawyers also read Texas Legal Ethics Opinion 648 in addition to this opinion. Client Portals: Why Attorneys are Flocking to Them is the subject for a live webinar this week (April 12) from the ABA Law Practice Division. It features two Oklahomans, Jim Calloway, Director of the Oklahoma Bar Association's Management Assistance Program and Darla Jackson, OBA Practice Management Advisor. 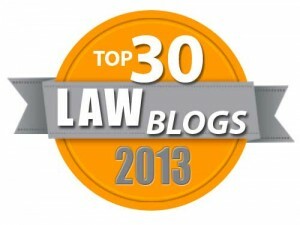 It is not exaggerating to say that for most lawyers, this is a critically important topic. The idea of using a client portal to better serve your clients involves more than better client service. This involves “best practices” for security of client information. Setting up a portal allows your firm to set up comprehensive processes for electronic transmission of confidential (and nonconfidential) information and it is generally a more user-friendly process than training a client on the use of encrypted email. It is an internal time-saving practice. Client portals demonstrate to your clients that you are on top of recent technology trends regarding how confidential information should be treated and secure client portals help you ensure that you are observing your ethical obligations about handling sensitive material. Many lawyers already have the technical capability for client portals provided within their practice management software solutions, but they haven’t taken the time to implement a firm-wide comprehensive policy on how these portals are used. Others may use dedicated portal solutions provided by third parties. We will show examples of both types of solutions. This practice obviously works differently for a large firm with an IT department versus a solo practitioner. We will focus on tools for medium-sized and small law firms, but the discussion of how to use client portals and why applies to every lawyer. The genesis for this program was my most linked and most reprinted column of last year Email Attachments vs. Client Portals. Take a few moments to read that now if you missed it the first time to remind you of why you should attend this CLE program. For more information and to register, visit the webinar’s registration page. We hope you can attend. As I noted, this one is very impressive. When they compromise a GMail account they instantly raid the account and then set up new phishing attacks coming from the compromised user's account to people he/she has in their Contacts or Inbox. Since they have access to everything in your Gmail, they include a relevant subject line from an actual sent email to them as the subject line on the phishing email. Devilishly clever. Someone you have corresponded with gets an email from you with a subject line of a recent email discussion between you. The recipient understandably is more likely to click on the attachment and then enter the requested information. I get these phishing emails all the time. Just yesterday members of an American Bar Association group I am a part of received an email with a “contract” from the ABA. The attachment appeared to be a normal PDF attachment, but luckily, as you can see below, the email was not that persuasive. ABA staff followed up quickly with a warning. This story is appearing in the media. But I wanted to make sure you learned the main lesson from this. This one was too good. You can no longer be certain you won’t fall for one of these scams. This is the strongest case you will find for using 2 factor authentication. If you have it set up on Gmail, this exploit accomplishes nothing because the bad guys don't have your phone or fingerprint. And when you next regularly change your password, they will no longer have your password either. If you don’t have 2 factor authentication enabled, then they have access to your entire Google account, including Gmail (with perhaps receipts from your online shopping,) Google Wallet, documents you have stored in Google Drive, Google Calendar entries, photos in Google Photos and your YouTube account. What risk this entails to you depends on how you much you use Gmail or Google services. I’ll end by reposting the link to my column Client Confidentiality, Personal Privacy and Digital Security. So which is more secure- an unencrypted email attachment or a client portal? Well, that is sort of a trick question because most everything is more secure than an unencrypted email attachment. And normally one would use the phrase "secure client portal" because by definition, client portals should be secure. In this recent Oklahoma Bar Journal column, Email Attachments vs Client Portals, I discussed the differences between providing clients documents by sending them as email attachments versus providing the documents through a client portal. Some readers may be surprised at how easy and affordable providing a client portal is today. Some readers may have already used similar portals for a HIPAA-protected medical information provided by a health care provider. Spoiler Alert: I think client portals are the best practice and unencrypted email attachments should be reserved for those situations where you would send a post card if you were using the U.S. Mail. Discussions about metadata used to be very common in law office management and technology circles. You do not hear as much about that topic today, primarily because Microsoft Word and Corel WordPerfect have built-in metadata scrubbers. But, as with other technology-based developments there are often new challenges and now is a good time to brush up on your knowledge of metadata. 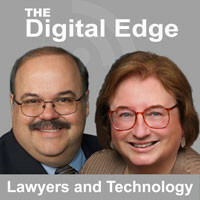 We asked Donna Payne, who is widely regarded as an expert on metadata, to be the guest on our Digital Edge podcast. The topic is Metadata Management and Daily Best Practices. Donna shared many great tips, including her checklist of the most common metadata mistakes that lawyers make and some daily best practices that lawyers can implement to help protect their data. Her firm produces and sells Metadata Assistant, a very well-regarded tool. But her podcast appearance was far from a sales pitch as she outlined many ways lawyers who do not have such a tool can manage metadata risks.